If you are having trouble making a payment, click here and let me know. I will help you get the designs you want. You can pay with PayPal or your credit card. When you go to your cart, click Proceed To Checkout. Log in or create a new account. Click the Proceed To PayPal button at the bottom of the page. Then you can either pay with your PayPal account or your credit card. 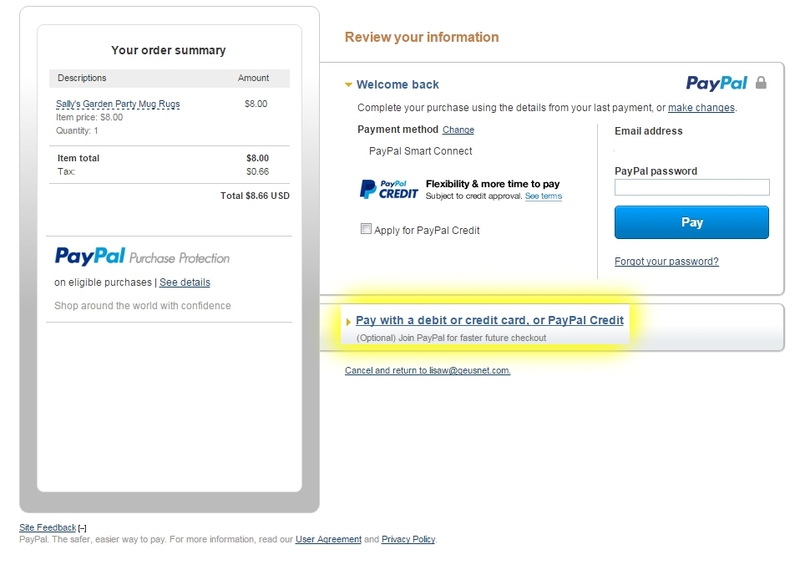 If you want to pay with a credit card click on the Pay with debit or credit card link, below the PayPal sign in. Highlighted in yellow in the image below.